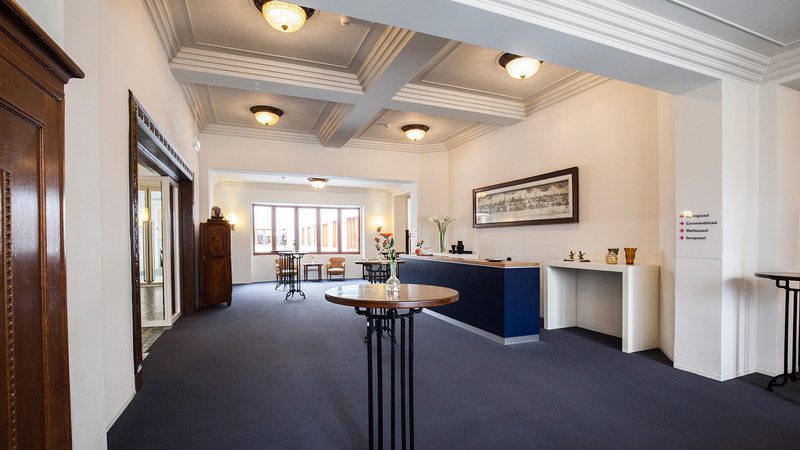 The entrance to the conference centre on the third floor is a multifunctional space. 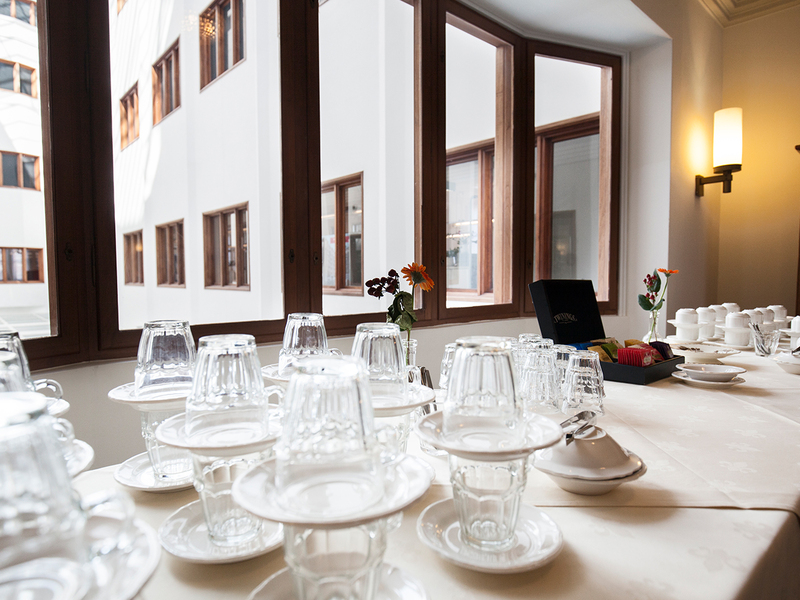 Here your guests are received with information, badges and coffee. Lunch, morning and afternoon snacks and drinks can also be enjoyed here. 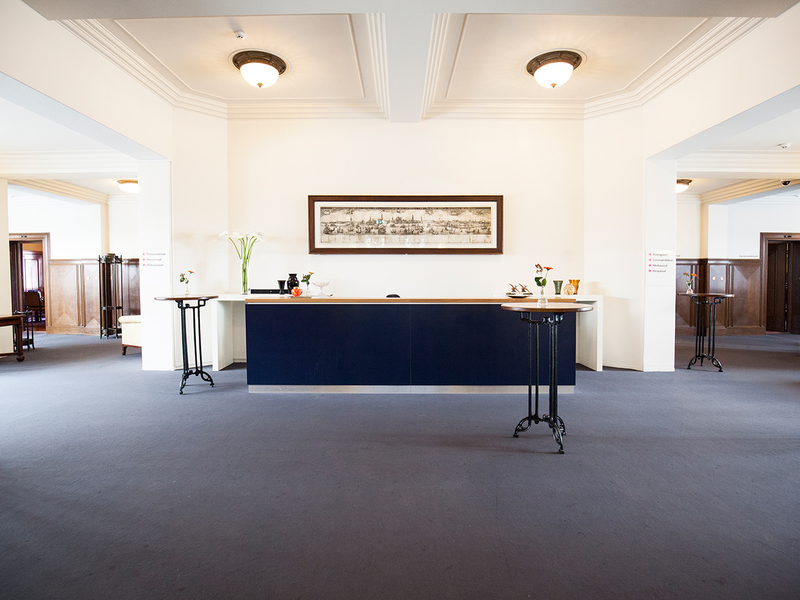 It is an integral part of the Conference Centre. 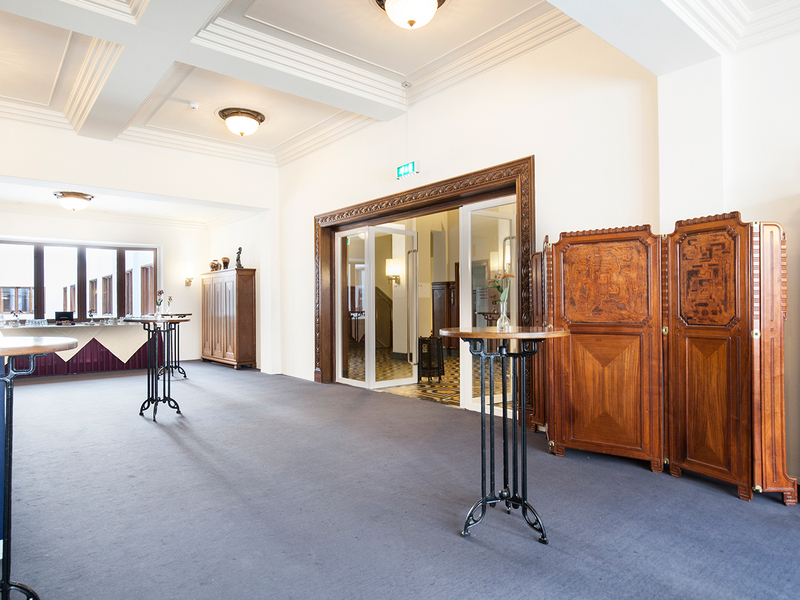 At large receptions, all doors can be are opened so that all rooms are used for this purpose. It is also possible to follow the progress in the King’s Hall by placing monitors from here. A frequently used setup at auctions. 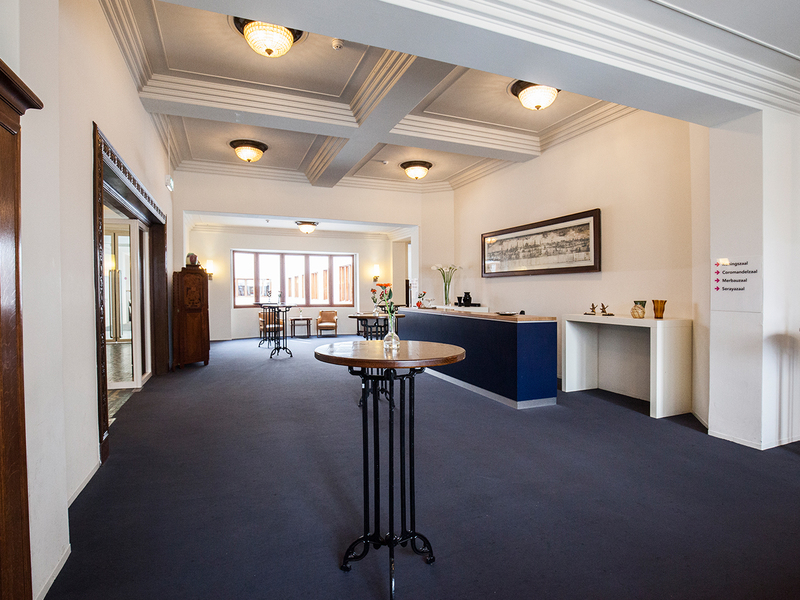 It is an ideal place to network and, if necessary, also the corridors are involved. Here, your eventual exhibitioners or sponsors can place their stands during the breaks, creating a natural intimate marketplace.